It is said that a company’s most valuable assets are it’s employees. That being the case, Nature’s Design Taxidermy is truly a wealthy company. We are very proud of our fine and talented staff! 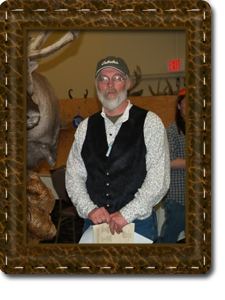 Ray, owner of Nature’s Design, has 35 years experience as a full time taxidermist as well as being an avid hunter, trapper, and fisherman. Anything that deals with the outdoors is right up Rays alley. His talent and creativity have earned him many awards ranging from Award or Excellence, People’s Choice, Taxidermist Choice, and a World Champion Life Size Mammal. He has a passion for mounting things that are out of the ordinary and getting the opportunity to create new poses and pushing the limits of gravity. He has also started designing and building trophy rooms which is another creative outlet for him. Chris not only works in the office handling day to day operations; but also has her hand in creating habitat bases for customers, building crates, and pulling the trailer and delivering mounts to customers. Outside of work, her passion lies with her grandchildren, camping, and riding atv’s. She also donates her time to the Yellowstone Quake Hockey Team as a Treasurer and opens up her home to house players for the season. Come visit our shop and there will be no doubt who really runs the place. Tiger is there to greet each and every person who enters the office and is always glad to give tours. Tiger is also responsible for inspecting all incoming and outgoing shipments to see if it contains a snack or is nap worthy. After hours, Tiger is responsible for the security of the office and to make sure that none of the trophy mounts misbehave while the staff is out. Duane is a true artist, accomplished with both paint and air brush. His attention to detail brings our finished mounts to life. He also mounts all of our fish whether it is a skin mount or reproduction. 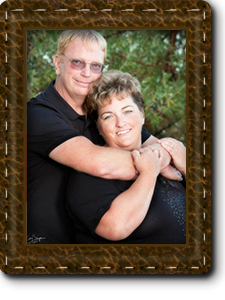 He has worked with us since 2001, is a major part of our team and has been a taxidermist for 15 years. 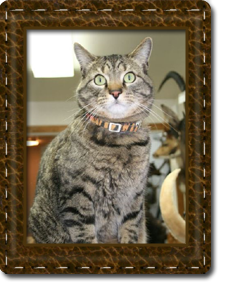 He has attended Wyoming, Montana and Colorado Taxidermist competitions, also competing at National and World competitions. 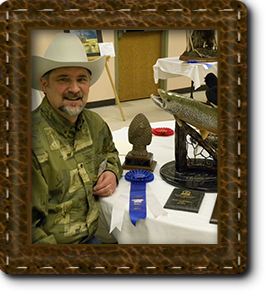 Duane has brought home many blue ribbons as well as some specialty awards for his incredible fish mounts. 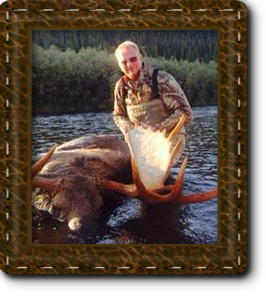 Taxidermist- Since 2005 Wayne has been creating professional shoulder mounts, as well as, life size mounts at our shop. He has been involved in taxidermy for 50 years and owned and operated his on taxidermy. He has won 1st, 2nd, and 3rd placed at the Wyoming Taxidermy shows, and recently received 2nd place at the World Show. Wayne feels the best award he can receive is the kudos from customers. An exceptional young man with a great work ethic that began working with us in 2012 after school. He worked in all aspects of the shop from crating and is beginning to learn taxidermy under the direction of Ray Hatfield. On a personal note, Monte races dirt bikes and has competed in weight lifting. 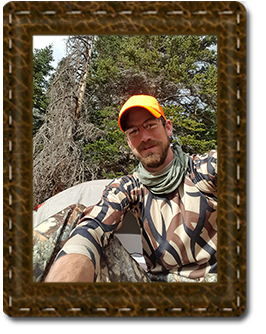 His interests lie in the out-of-doors as an avid Hunter and fisherman. He enjoys hiking, horse packing and horn hunting the mountains. Rachel is the oldest daughter of Ray and Chris Hatfield and has been working with us since 2008. She currently is one of our finishers, but is also helpful with taxidermy, skinning, sewing, building crates, habitat, and office work. In her spare time she enjoys riding/training horses, hunting, fishing and taking care of her daughter Oakleigh and son, Brody. Brandon joined our team after serving in the United States Air Force for 6+ years as an Aviation Resource Manager. After being honorably discharged Brandon moved to Cody in search of something new. Originally from Oklahoma, he grew up in the town of Pawnee, and enlisted in the Air Force at the age of 20, during his time on active duty he received 2 Air Force Achievement medals and served in Operation Enduring Freedom/Iraqi Freedom as well as counter drug operations in South America. He spent the last year of his Air Force career in Mountain Home Idaho where he found a fondness for the mountains and the way of life. Upon arrival in Cody he worked for One Stop Motorsports before joining the team at Nature’s Design. He aspires to be a taxidermist and has already completed his first mount. 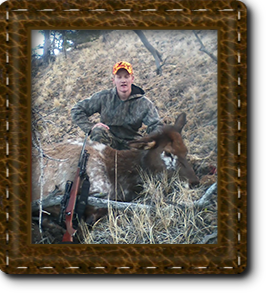 He enjoys hunting, fishing, hiking as well as various other activities encompassing the shooting and outdoor lifestyle. Rebecca is the youngest daughter of Ray and Chris and just recently started working with us in the office. If you happen to call you, will most likely be talking to her. 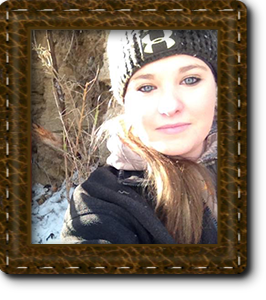 Rebecca is new to the hunting world and got her first Mule Deer buck in 2014. 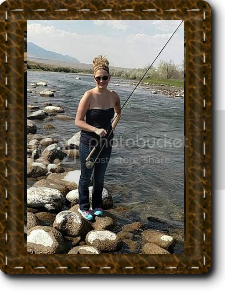 She is also very passionate about fly fishing, camping, and spending her days with her daughter Hailee, and son, Ryker.